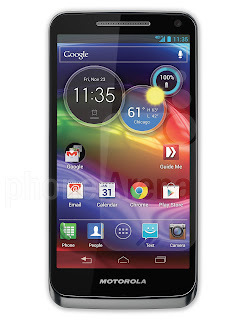 The MOTOROLA DROID RAZR M got a Cousin.. EH?? On the 1st of this month, U.S.Cellular announced a new LTE enabled device, the Motorola ELECTRIFY M which has now been made available. It sports an edge-to-edge display. The smartphone is powered by a 1.5GHz dual-core processor, 4G LTE, an 8MP rear cam, 1.3MP front cam, NFC, 2000mAh battery and is loaded up with Android 4.0.4. U.S. Cellular suggested it was more than capable of getting in on the Jelly Bean action, though they have given no specific date regarding when. 4.3 Inch Edge-to-Edge display – The ELECTRIFY M display screen is virtually borderless. Web pages, apps, videos are all clear on a vibrant, high resolution Super AOLED Advanced display. Desktop Browsing Gone Mobile – With the Chrome™ for Android™ mobile browser, you can surf the web with U.S. Cellular’s 4G LTE network. Not only can you jump between pages as quickly as you type, but this mobile browser “talks” with your desktop version and lets you sync bookmarks and even view the same tabs you have open on your computer. The Google You Love, On A Phone You’ll Love – ELECTRIFY M brings you the best of Google. The Google Play™ store is stocked with more than 600,000 apps, millions of songs and books, thousands of movies, TV shows and magazines, and puts everything you want all in one place. Premium Protection – ELECTRIFY M is built to go everywhere. The display is made of scratch-resistant Corning® Gorilla® Glass and also has an invisible splash guard coating for protection inside and out. A Phone That Gets You – The ELECTRIFY M already has a long-life battery and when you set up SMARTACTIONS™, you can extend it even more with customizations, and as the app automatically suggests improvements based on your actions. U.S. Cellular will sell the Motorola ELECTRIFY M to its customers in an area that receives its LTE signals for $99 after a $100 mail-in-rebate. In other regions, the device will be $149 after the $100 rebate. 0 Respones to "U.S. Cellular’s MOTOROLA ELECTRIFY M"